Oxford Farm has facilities for overnight stays for you, your family, and even your horse. If you are attending an event at Clemson University, including a football game or equine event, Oxford farm is your home away from home. Oxford Farm is conveniently located within a 15 mile drive to Clemson University. A Football fan will already know about the Clemson Tigers. An Equine enthusiast may have heard of the T.Ed. 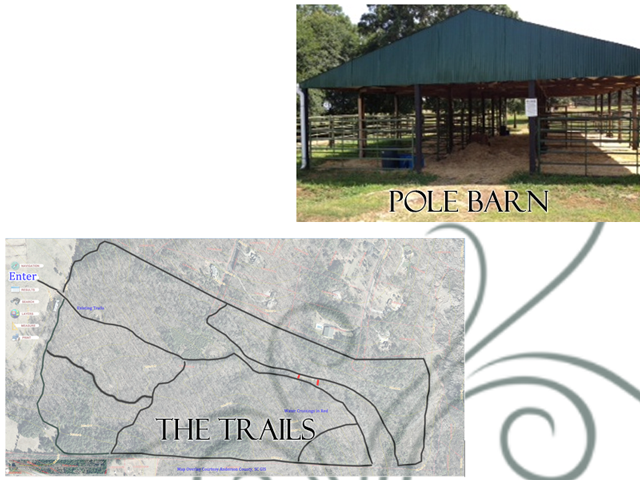 Garrison Arena and the approxiately 40 miles of trails at the Clemson University Experimental forest also known as Fants Grove Forest. Trail riders will be especially pleased by the scenic views of Lake Hartwell. The trail is accessible from the Butch Kennedy trail head, located behind the T. Ed Garrison arena. The upstate of South Carolina is truly a trail riders paradise. In addition to the Clemson trails the upstate boasts equine trails at Parker Bowie, Issaqueena Lake, Earl's Ford, and Croft State Park. 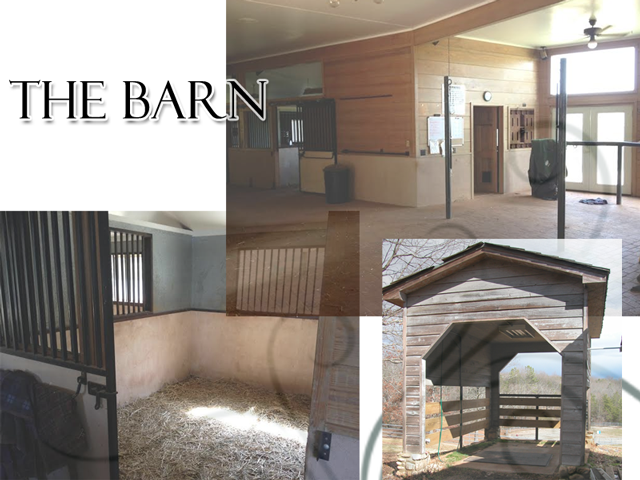 We are also within a trailer haul to the Biltmore Estate and FENCE (Foothills Equestrian Nature Center) both in western North Carolina. For those family members not interested in the equine life, beautiful Lake Hartwell is just a short drive from Oxford Farm. 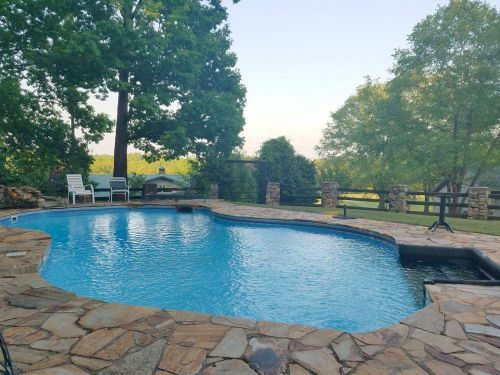 Located overlooking the pool, barn and pastures the Guest Cottage is available for overnight stays. Sleeps 2 adults and 1-2 children. 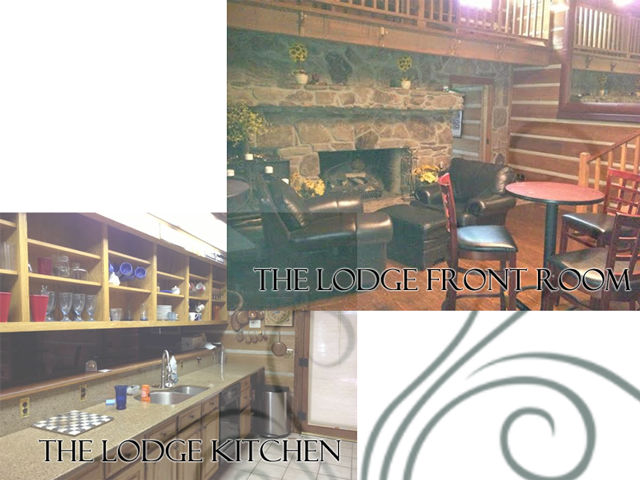 The Lodge is the centerpiece for guests staying at Oxford Farm. Four bedrooms sleep 8 adults. There are several sleeper couches and a bunk bed as well. Four full bathrooms and one half bath. Cost: $250 per bedroom used and half price for second night. 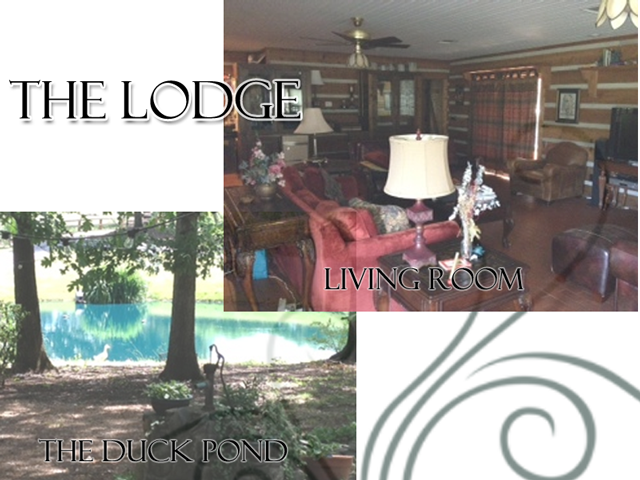 A pool access is also available from the Lodge. Stalls available at $15 per night. Boarder is responsible for mucking and cleaning stalls. Wash racks and cross ties available in the barn. Barn is located within a stone's toss of the Lodge. 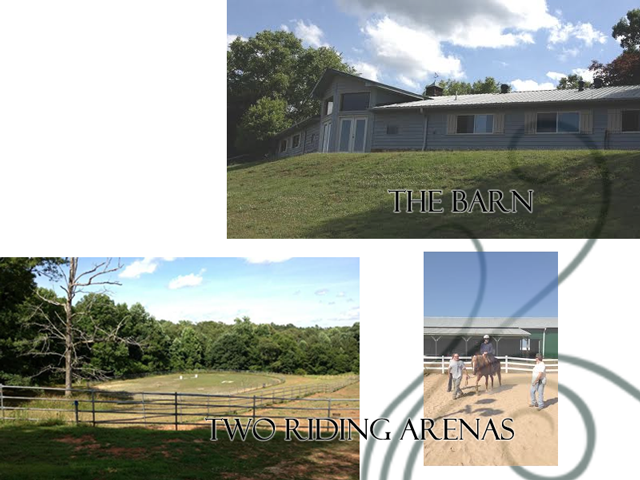 Two riding arenas available. Lower Arena has grass/sand footing. The Upper Arena has lights and has sand footing. Open stalls in the Pole Barn are available for $10 per night. Boarder responsible for mucking and cleaning. We also have room for Horse trailer parking. Please let us know how large a horse trailer you will be bringing. 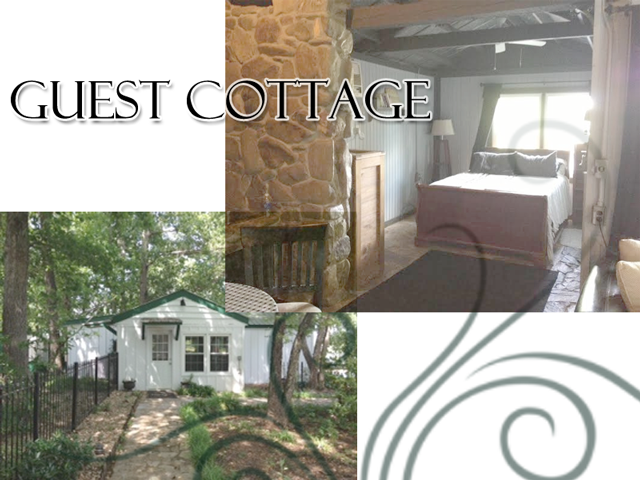 Rent the Cottage for a Clemson Football game via Rent Like a Champion.